Last week, the Irish Times published an article containing a recipe for the most delicious-looking, homemade coconut cake. The article suggested that this might be a wonderful treat to bake our mothers on this upcoming Mother’s Day. Though my first thought was that this was a fantastic idea, my second thought was nothing short of: Wait, isn’t Mother’s Day in May? 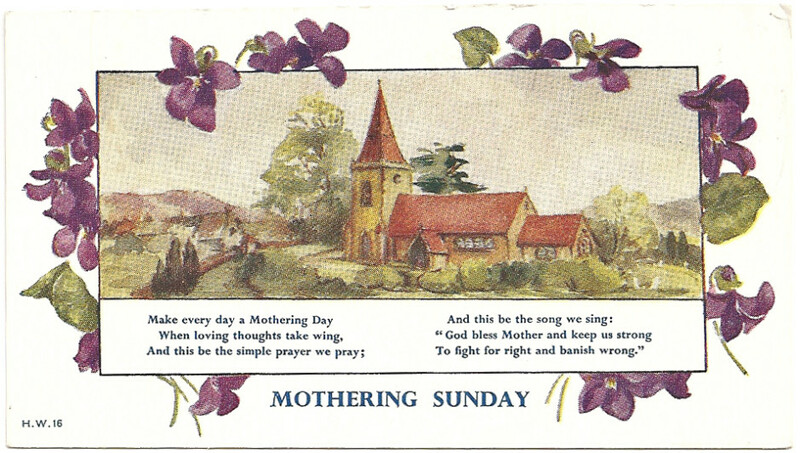 As it turns out, Ireland celebrates Mother’s Day at a different time than we do here in the U.S. Mother’s Day, or “Mothering Sunday” as it was once called in the the U.K. and Ireland, is celebrated on the fourth Sunday of Lent, and this year, will take place on March 15th. As I did more research into this holiday, I discovered that the origin of Mother’s Day had nothing to do with mothers at all. In fact, the tradition started because, on the fourth Sunday of Lent, families were given the day off to attend services at their “Mother” church. However, servants often decided not to spend their day off attending church, and instead spent time with their own families (and mothers). Over time, the tradition has evolved, and now, Mother’s Day in the U.S. and Mother’s Day in the U.K. and Ireland look very much the same—even if celebrated on different calendar days. If you have Irish heritage, now you have an excuse to surprise your mom early with a gift or special treat on March 15th, and then do it again on May 10th when we’ll celebrate here in the U.S.!